Deepak Co believes that the environment we live in influences our mood and quality of life. This belief drives us to provide innovative civil interior solution whilst meeting complex civil work challenges. We make use of our technical expertise, multidisciplinary approach and sustainable strategies to offer high-quality services to our clients. 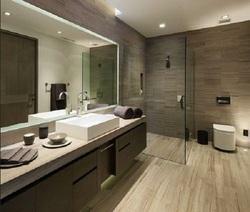 Facilitated with ultra modern processes, we are broadly engrossed in offering Bathroom Decoration Service. Get the bathroom of your dreams with designs that are elegant, restful as well as functional. Flooring-Marble tiles or vertified tile, Glazzed tiles on wall 7, hight, White glazzed vitreous sanitary ware of parry ware/hindware, geyser point..